How can Mangalore become a world class city? Connectivity : First and foremost, Mangalore needs to be very well connected to Bangalore for it is the state capital and Mumbai which is the financial capital of the country by Rail, Road and Air. 6 lane expressway to Bengaluru (NH75) – Faster Travel(4 hours) More tourists, better freight carriage, boosts economy. 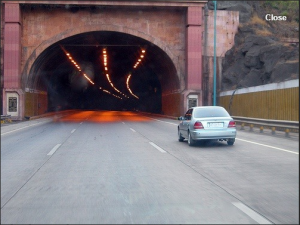 Convert Shiradi Ghat stretch to 6 lane tunnels and via-ducts – Faster travel, Saves Fuel, Preserves Forest. 4 lane Mangalore – Solapur , Mangalore – Madikeri highway – Extend hinterlands of New Mangalore Port, Better reach to Suburbs like Moodabidri, Karkala, Puttur. Upgrade BC Road – Dharmastala National Highway – Improved tourists movement towards pilgrimage places and western ghats, also better connectivity to agricultural industries. Bring Mangalore – Talapady railway line to Konkan Railway – Faster Development. Create Mangalore Railway Division – Will give jobs to local Mangaloreans in the sector. Double Track-Electrified Railway line to Bangalore, Mumbai and down south to Trivandrum – Faster passenger and cargo movement. Highspeed Rail to Bangalore and Mumbai which can travel at 160Kmph – A train journey will then take 3.5 hours from Bangalore to Mangalore, better connectivity to Chennai. Improve Mangalore Central and Mangalore Junction railway stations by adding more platforms, bridges etc. Extend Airport Runway to 3.5 Kms – Safer landing and take off. Create full length Taxiway – Lesser waiting time. Increase Aero-Bridges to 4 – Currently only 2. Extend parking bays and promote night parking facility. Proper 4 laning of all connecting Airport roads from Kulur, KPT and Mulki – Faster travel to Airport. Improve Cessna joy ride and Heli-Tourism – This boosts tourism and tourism aviation sector. Form MCTC (Mangalore City Transport Corporation) on the lines of BMTC and club both private and state owned busses – This should give us much needed Transport System. 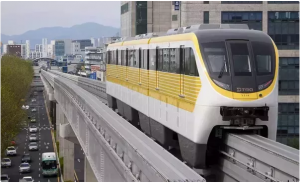 Monorails : It’s time Mangalore has one. Color Code all public busses based on the City, Sub-Urban or Intra-City etc. – The colorful city busses have to be stopped for good. Build a state or art and fully functional Bus Terminal at Pumpwell for Intercity Busses and at State Bank for Intracity busses. 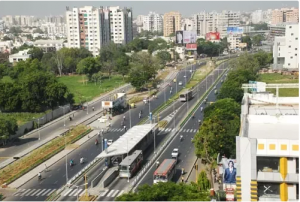 Build satellite bus stations at suburbs like Surathkal, Moodabidri, B.C.Road and Thokottu – Improves sub-urban connectivity. Improve Bus Bays – Prevents traffic jams. Severe punishment for violating traffic rules for the busses as well as bus owners – This way lives can be saved. Build underpasses at KPT Junction and Happankatta Signal – Too much chaos at these places. Two way flyover at Surathkal, Kulur, Bikarnakatte, Kottara Chowki, B.C.Road. Build Rail-Over-Bridges at all Railway Crossings – No more waiting. Build new river-front road from Nethravathi Bridge to Kannur Village – This will bypass Pumpwell for people travelling to Bangalore from South Mangalore. Build footpaths and pedestrian over bridges(With Escalators, Solar Powered) at major junctions. Develop Kadri Park, Tagore Park, Radio Park (Urwastore) into higher standards – These parks are nowhere in comparison with Cubbon Park of Bangalore. Develop Hanging Bridge between Sulthan Bathery and Thannirbavi . Promote River Sports, Boat Restaurants, Boat Houses, Back Waters Tour – Better inflow of tourists, Improves Local economy. Build a complete recreation center at Pilikula which includs better quality Amusement Park, Water Park, Garden Boating, Zoo, Wild Safari, Fishing(Angling), Golf Coarse, Resorts etc. at world class standards. Upgrade Panambur Beach. Improve Sea Sports like Para Sailing, Banana Ride etc. – Improves Tourist Inflow, Improves Local Economy. Build International Level Cricket stadium and sports complex to facilitate all kinds of sports. Build water sports like Kayaking, River Raft, Boating etc. Build Mini-Stadiums at sub-urban areas. Enforce Rain Water Harvesting through out the city – Will reduce load of commercial water supply. Enforce Roof Solar Power Grids at all Govt. undertaking offices like Airports, Railway Stations, Offices etc – Renewable energy. Create underground electric transmission cables – More reliable during monsoons since tree fall will not affect transmission. Use LED lamps across all streets – Power Saving, Better visibility. Plat trees as much as possible in all roads. Remove unwanted weeds from road sides and prevent growth of them. Have clean and clear roads by removing all mud and sand. Remove posters and bills from all place including flyovers and compound walls etc. Have strict rules for Cable and Telecom operators with respect to cable lines. It must never spoil the image. Form GMCC (Greater Mangalore City Corporation) and include South Mangalore, Bajpe – More areas to develop. Create High-Court Bench in Mangalore – Faster moving of cases and files. With above development, Mangalore is surely going to be a world class city.